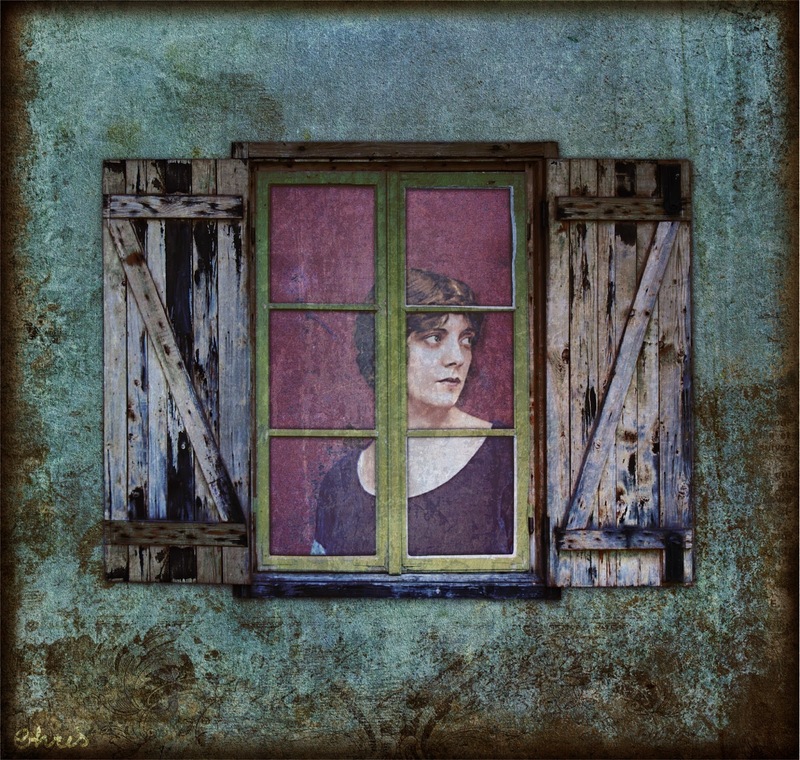 This week the theme at Take a Word is WINDOWS. Girl: Alma Rubens, silent movies actress; Background amd window: Studio Manu; Overlay: Shadowhouse Studio. There really is lonelines on your fab collage. Great art piece, Christine. Great art work from your window. I love this Chris the colors and texture are amazing and that quote is too...well done my friend. I say it's time to throw away the clocks! Wonderful collage on a very serious subject. Your beautiful art expresses so well the sentiment in the quote, Chris. Beautiful work! Oh such a sad portrayal for Window ... but utterly beautiful too.